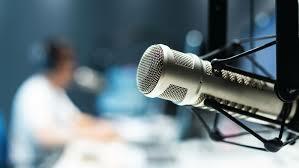 The latest appalling listening figures for the only national English-language radio station in Wales show its audience has reduced even after the previous record-breaking low statistics and well below the level the Editor claimed he could achieve, revealing he is now skating on thin ice, The Eye can disclose. The most recent figures from industry body RAJAR for BBC Radio Wales (RW) show that it now has just 316,000 listeners, 1,000 fewer than the previous quarter, which was itself a decline of 50,000 on the quarter before and 23,000 on the same period last year. Yet the contentious Editor Colin Paterson claimed internally and to outside media executives that he would boost the figures to 500,000 by the 40th anniversary of RW last year. Other radio stations have fared better – Smooth Radio for example is on the up in South Wales. 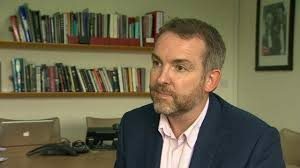 We have exclusively reported that one of RW’s leading former presenters, Mike Flynn, has repeated his demand for the resignation of the Director of BBC Cymru Wales, Rhodri Talfan Davies, as well as Mr Paterson because the listening figures have been so bad. After the latest figures for RW he told The Eye: “If it was a football club both Davies and Paterson would have been sacked long ago. 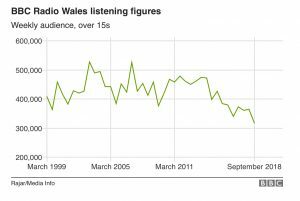 Radio Wales is still in dire straits – 1000 down on the last quarter which means the graph is heading one way”. The performance of RW has been condemned on websites which specialise in broadcast or Welsh issues. One commentator wrote: “Where are your balls Talfan Davies? If you can’t locate them pronto, do us all a favour and resign”. 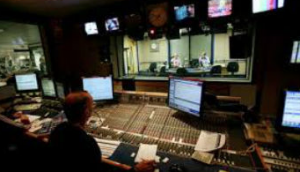 In response to previous figures the same critic wrote: “On average a mere 2,750 people out of the 3,000,000 population of Wales are listening per hour, giving the station an infinitesimal 4.4% share of the Welsh market”. Apart from stations in the independent sector doing better today, figures in the past have also shown other boosts, unlike for RW. 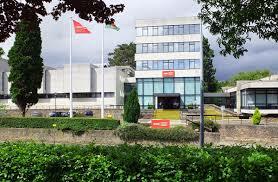 Previous quarterly figures have shown that BBC Radio Cymru had pushed its listening statistics up. The data revealed that it had 119,000 listeners between July and September, an increase of 7,000 on the previous quarter and up 18,000 on the same time last year. Among Wales’ commercial radio stations, there were also increases previously. 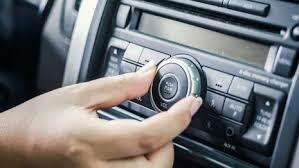 Listening figures rose at Capital South Wales, Heart South Wales and Swansea Bay Radio compared to the quarter before. BBC Wales though has remained defiant in the past. A spokesperson at the corporation said: “We analyse these figures to ensure we continue to offer the best possible content for our audiences. Radio Wales is a vitally important part of BBC Wales’ provision and that’s why just this week we’ve extended the FM availability of Radio Wales to an extra 400,000 people”. Yet BBC staff are utterly dismayed by the continuing downward spiral of the audience figures for RW, when it appears officials have a different take on them. The media official said the statistics were a “helpful snapshot of live listening”. 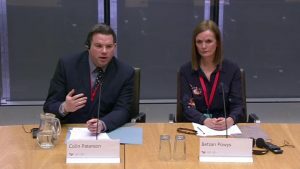 In March he had appeared alongside Betsan Powys, the then Editor of BBC Radio Cymru and Cymru Fyw, before the Welsh Assembly’s Culture, Welsh Language and Communications Committee, and BBC sources believed they would defend their audience statistics. 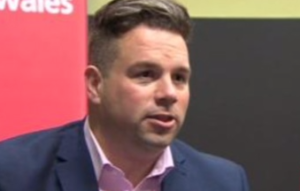 It is clear from the media official’s comments that BBC Wales was pinning its hopes on the success of the roll out of its FM signal, yet this too has been mired in controversy along with its general radio coverage. 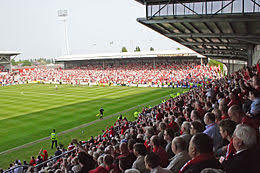 In August of 2017, cuts to commentary for Wrexham football games on RW were criticised as unfair. 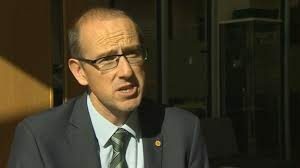 The North Wales Assembly Member (AM) Llyr Gruffydd demanded officials rethink the decision to reduce radio coverage of the team’s matches, and put them on the BBC’s website. But at the time Mr Paterson had staunchly defended his radical plan to axe the FM radio opt out for North Wales, except for “key games”. The reporting of Newport County games on RW has also led to a stern letter to him from another senior politician. In the same month, the MP for Newport East, Jessica Morden, said constituents had contacted her to complain about the lack of radio coverage on the BBC. 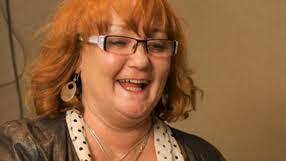 Mr Paterson has evidently put his faith in ‘big’ name presenters such as Janice Long. Yet despite earlier low audience figures, when it was already obvious the station needed a change in direction, we showed how recruitment continued unabated, with officials advertising for the first Deputy Editor to be part of the “success story of BBC Radio Wales,” because they said it was an “exciting time as we get ready to celebrate our 40th birthday”. Mr Paterson’s supporters within the BBC now seem to be few and far between. When he joined RW, though, it was a different story. At his appointment, his new boss, Mr Davies said that “his (Mr Paterson’s) incisive mind, his passion and his deep understanding of radio will be invaluable as the station nears its 40th birthday in 2018”. Perhaps this ‘incisive mind’ will be brought to bear on the latest dismal audience figures for his radio station.